The United States plans to restart talks with South Korea on a free trade deal signed five years ago during the Obama administration. US President Donald Trump described the agreement, known as KORUS FTA, as a “horrible” deal, that must be either terminated or renegotiated. The negotiations are due to be held in Washington next month, according to US Trade Representative Robert Lighthizer. “Since KORUS went into effect, our trade deficit in goods with Korea has doubled from $13.2 billion to $27.6 billion, while US goods exports have actually gone down. This is quite different from what the previous administration sold to the American people when it urged approval of this agreement. We can and must do better,” Lighthizer said in a statement. South Korea will participate in the talks either in Seoul or Washington, but it doesn’t mean the country will renegotiate the terms of the agreement, according to Yeo Han-koo of South Korea's trade ministry as quoted by Reuters. “We will meet and discuss mutual interests and concerns. Our stance is that we have not agreed on the renegotiation of the deal,” he told the agency. 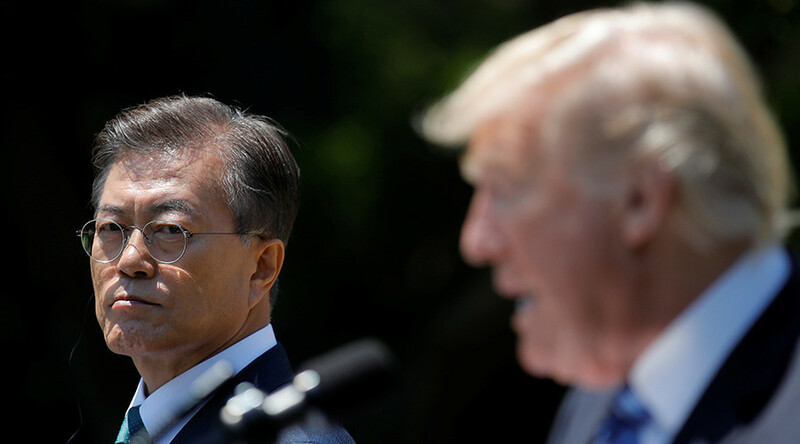 Han-koo added that the deal was believed to be mutually beneficial, stressing that the parties need to understand whether the US trade deficit with South Korea is caused by the trade agreement or as result of other fundamental economic issues. KORUS was first proposed in 2006 by the Republican administration of George W. Bush. However, the initial version was scrapped and renegotiated by Barack Obama's Democratic administration three years later. 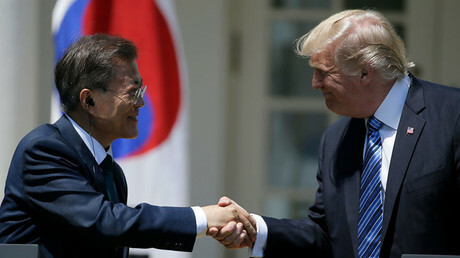 Earlier this month, Donald Trump characterized the talks on the deal as “rough” following the meeting with his South Korean counterpart in Washington.